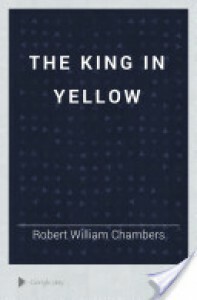 The King in Yellow is a collection of short (mostly) horror stories by Robert W. Chambers, published in 1895. I took up the book because I'm such a Lovecraft fan, and it was cited by the master of cosmic horror himself as one of his inspirations. The book was... terrifying. I find my every waking hour now spent brooding over it's words, it's insidious message seeping into my thoughts, undoubtedly leaving a bitter taint on any joy I might have ever felt for the rest of my days. Except, that's not exactly how I felt upon finishing the collection. That's how it would have been if halfway through, the stories hadn't stopped being horror, and started being, well, tales of romantic Americans living in Paris. What can I say? The first half of the book seemed to be building a terrifying shared narrative across the stories in which a playwright has written a terrible script that wracks the minds of men, turning them insane with it's terrible truths. 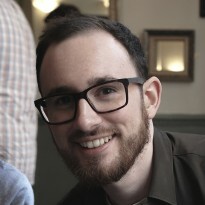 The various characters across the stories are irrevocably changed after reading the King in Yellow, and events all seem to be connected to the mysterious threat of the King in Yellow and the Pallid Mask. However, just as I was expecting these threads to come together, the stories just kind of... stopped being about the King in Yellow. I found myself reading each story following "The Prophets Paradise" and at first wondering where the theme had gone, then wondering why I was reading what I was, and eventually just being outright bored. The stories that follow the horror section aren't terrible... they have value and stand alone well. In particular the battle imagery in "The Street of the First Shell" is beautifully and hauntingly described. They just don't seem analogous with the rest of the collection, almost like they'd just been added in to pad out the page count. However, the first half of this book is still a fantastic read that any horror fan would enjoy; just don't be upset when the book fizzles out towards the end.